After being a Lice Technician for 2 years, I’ve seen it all when it comes to hair types. One common problem I come across is many parents have trouble with their children that have thick, curly hair. It can often be difficult to de-tangle without tears being shed, and can easily become dried out and unmanageable. Being the only person in family with this hair type I too dealt with these problems until I grew older and learned how to care for my own hair. Educating yourself and understanding your hair can help with self-esteem, and confidence. Having curly hair doesn’t have to be a struggle, with these tips you can learn to embrace your natural curls! NEVER BRUSH CURLY HAIR WHEN IT IS DRY!! This is the #1 mistake I was making with my hair as an adolescent. I never understood why other girls could brush their hair every morning and it looked silky and straight. My hair would always turn into a frizzy puff ball and become very tangled by the end of the day. Brushing curly hair breaks the natural curls apart and because the hair strand grows in a curved shaft it will not lay down flat like a person with naturally straight hair. Curly hair should only be brushed in the shower, preferably with a wide-tooth comb. This is pretty much what my hair looked like before I learned to care for it and this will be the end result if you brush curly hair when its dry. Always start from the ends. Curly hair is prone to tangles and breakage. When you start from the top of the hair when detangling all those tangles become clumped up and stuck at the ends of the hair. Detangle the ends first then slowly work your way up until the tangles at the roots of the hair are out. Spray a leave-in conditioner into the hair or brush it out in the shower while conditioner is still in the hair. This makes detangling a breeze! Experiment with Silicone and Sulfate Free Products. These are the products recommended the most for people with curly hair. Sulfates are the ingredients that make shampoo very soapy and bubbly. These sulfates also dry out the hair and remove natural oils. Silicones are found in hair gels and conditioners. They act as a coating on the hair and can build up over time, and don’t always allow the hair to form its natural shape. It can take some time for the hair to adjust but the combination of a Sulfate free Shampoo and a Silicone Free Conditioner can completely transform a person’s hair. Scrunch! After showering, apply leave-in conditioner and curling gel. Once the products are in your hair, use your hands to scrunch your hair. This forms curls and allows the hair to better absorb hair product. Sleep In Braids. The texture of curly hair makes it great at holding in the curls created by wearing braids for an extended period of time. After showering, add your favorite products and braid. Not only will you wake up with fabulous waves and curls, the hair also stays tangle free! Silk is your best friend. 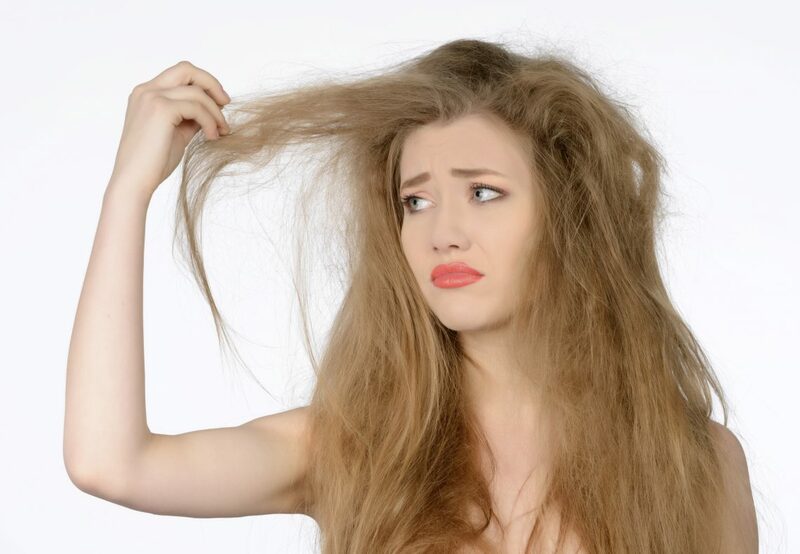 At night, tossing and turning can quickly turn curly hair into a frizzy tangled mess. A silk pillowcase or night cap reduces friction when moving and doesn’t absorb moisture from the hair. Air dry only. The best way to dry curly hair is to let it air dry or dry in a T shirt or a microfiber towel. The hair should only be wrapped in a towel until it is no longer dripping wet. The longer the hair is contained in a towel, the more moisture is absorbed from the hair and it could become frizzy. Use a Diffuser if you must blow dry. A blow dryer will leave curly hair frizzy and poofy as it blows apart the natural curls. Use a diffuser attachment and only dry the hair 60-75%. A diffuser is designed to cradle the curls and keep them in place. 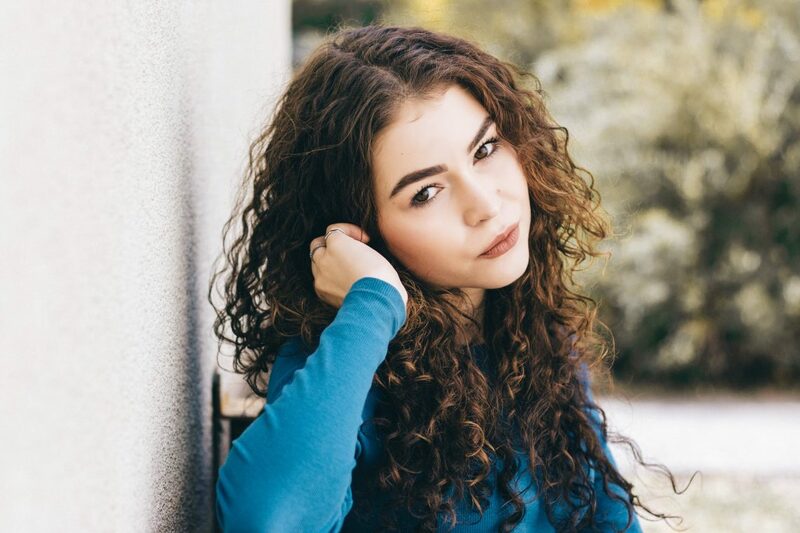 Learning how to manage curly hair can be overwhelming at first, but with patience and time you can get into a simple routine that makes your hair healthy and beautiful. There are many online resources for product recommendations and further information about caring your specific hair type. It may take awhile before you find a routine and hair products that work for you, and sometimes it may take a few weeks to see results when trying a new product or technique. Always keep trying and don’t give up, your natural curls are beautiful!